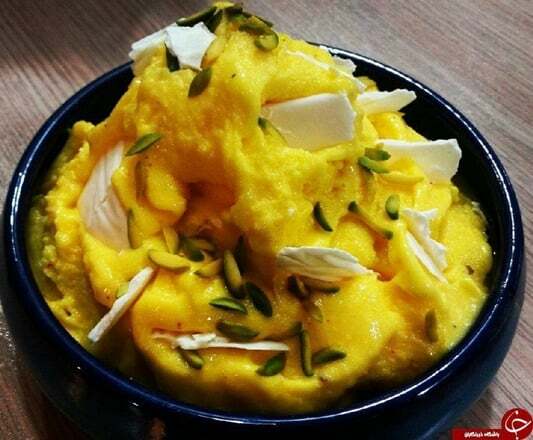 Saffron ice cream is one of the most popular and original desserts in Iranian culture. 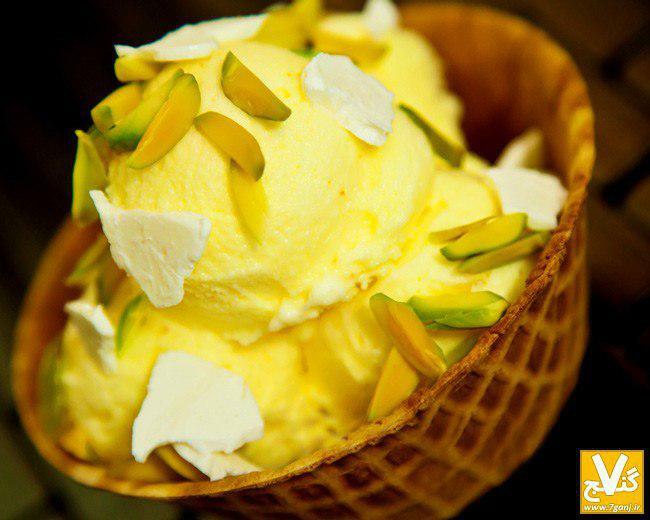 As its name suggests, saffron is one of the main ingredients of this type of ice cream. Saffron is one of the most popular Iranian spices with many benefits including protecting the body against diseases due to its antioxidants and carotenoids. It is also effective in relaxing the nerves and forming blood cells. Saffron is an anti-depressant that helps in absorbing calcium. As it is full of manganese, saffron helps metabolism and regulates blood glucose. First pour the milk into a container and put it on the heat. Then, add a little sugar (50 g) and wait until it reaches the boiling point. Take another container and mix the remaining sugar with salep. Add the sugar and salep mixture slowly to the milk container. To completely dissolve the salep and sugar in the milk, use a mixer to stir the ingredients. At this point add the rosewater, but before that turn off the flame. Now add saffron. Add the cream and cardamom after the ingredients are cooled down. In order to dissolve the cream in the milk, keep stirring. Take a metal container to pour the mixture into it. Place the container in freezer. To get a nice ice cream repeat the last step 3 times every hour. 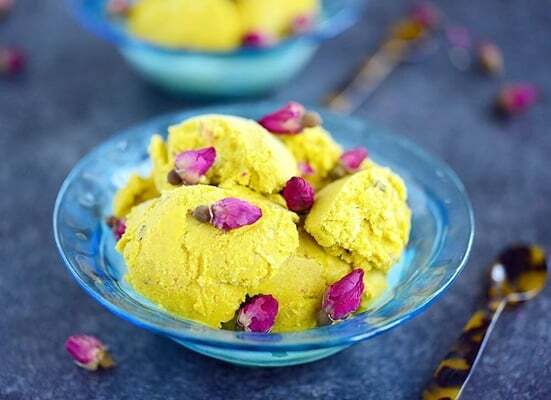 Perhaps some people tend to use dried cream in their ice cream. In that case, mix 100 grams of cream with 1 tsp of sugar and then pour it into a tray and place it in the fridge to get frozen.